If you are producing uplifting trance music in Logic Pro and need inspiration for your upcoming tracks, this template produced by Tycoos is just what you need. 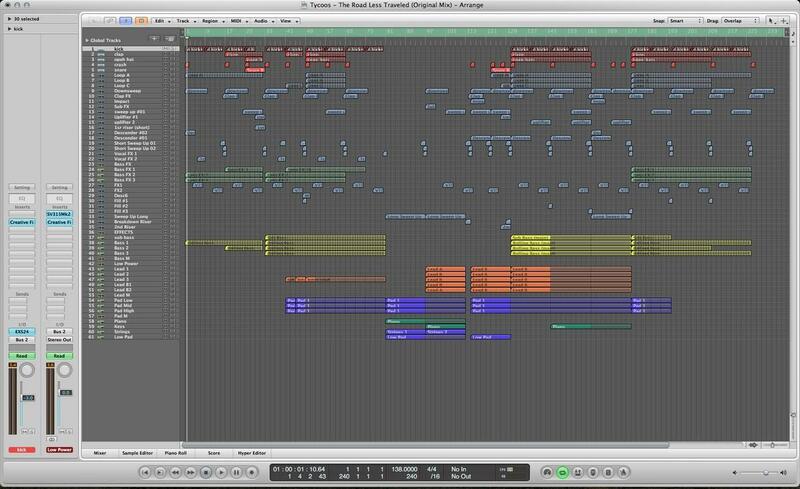 This is the original project of Tycoos – The Road Less Traveled made in Logic Pro. The beautiful trance track has been played by Armin Van Buuren on his radio show A State Of Trance 717, and by many other DJs, also winning the #2 spot in the Future Favorite vote. It delivers a great production quality and an epic / orchestral style breakdown & climax. An overall outstanding production ! Studying this project file will give you great insight on the processing of individual channels & mixing uplifting trance in Logic Pro, through the use of EQ, compression, delay, reverbs and more. The Logic Pro Trance Template comes loaded up with the arrangement (as heard in the audio demo), mixing, FX chains, MIDI data and automation. It all comes loaded with all the samples and synth presets so you will get what you hear in the demo if you have these synths. This template is based on Tycoos’ “The Road Less Traveled” track signed to Synchronized Music, and all melodies are copyrighted to their respective owners. You can use this template as inspiration for your future productions, to learn about production tricks such as channel routing, synth programming in Logic Pro and many more. This is the best (in my opinion) uplifting trance template! Excellent template for uplifting Trance! This is a really good template with that classic driving and uplifting sort of feel. It’s good for looking at how you can create a lot of energy by introducing stabs and effects and generally keeping people’s ears entertained as the mix builds. Definitely worth the purchase.